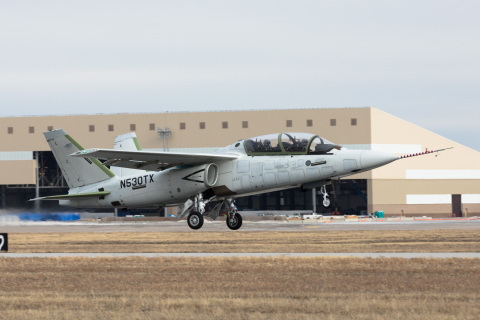 WICHITA, Kan.--(BUSINESS WIRE)-- Textron AirLand, LLC, a Textron Inc. (NYSE:TXT) company, today announced the successful maiden flight of the first production conforming Scorpion jet. This program milestone closely follows the recent successful weapons capability exercise on the prototype Scorpion completed in early October. The Scorpion jet is a bold new direction for tactical aircraft designed to excel in roles ranging from intelligence, surveillance and reconnaissance to close air support and armed reconnaissance.